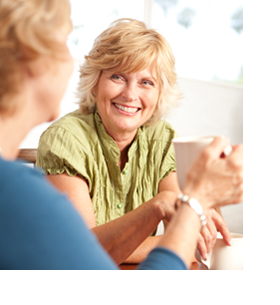 Our befriending service supports women to get back on their feet. A volunteer befriender can provide you with company, a listening ear and a shoulder to lean on. Befrienders can help you to get out and about, develop new interests, improve your routine, build new friendships and support networks, increase your confidence and self-esteem. We support isolated women living in South Gloucestershire and Bristol to improve their mental health and wellbeing. Our Bristol service is for women who have been raped or sexually abused. If you would like to have a befriender, please ask your support worker, sexual violence worker or a health care professional to make a referral. If you would like more information, please contact our helpline on 0117 916 6461 or 0345 458 2914.